NAIROBI, Kenya, June 5, 2016 (ENS) – “More than one quarter of the world’s elephant population has been killed in a decade,” according to the International Police, INTERPOL, and the United Nations Environment Programme, UNEP, in a new report that emphasizes the financial machinations behind environmental crimes such as poaching. Published today on the UN-backed World Environment Day, the “rapid response report” finds that the value of environmental crime has risen by 26 percent since 2014. In fact, environmental crime is the world’s fourth largest criminal enterprise – after drug smuggling, counterfeiting and human trafficking, Interpol and UNEP say environmental crime dwarfs the illegal trade in small arms, which is valued at about US$3 billion annually. “Environmental crime is growing at an alarming pace.” said Interpol Secretary General Jürgen Stock, who heads the world’s largest international police organization, with 190 member countries. “The complexity of this type of criminality requires a multi-sector response underpinned by collaboration across borders. Through its global policing capabilities, Interpol is resolutely committed to working with its member countries to combat the organized crime networks active in environmental crime,” he said. Some of the most vulnerable wildlife, including rhinos and elephants, are being killed at a rate that has grown by more than 25 percent every year over the last 10 years, the report states. In that same 10 year period, poachers have killed an average of 3,000 elephants a year in Tanzania, roughly 10 elephants a day losing their lives to poachers and other kinds of human-elephant conflict. 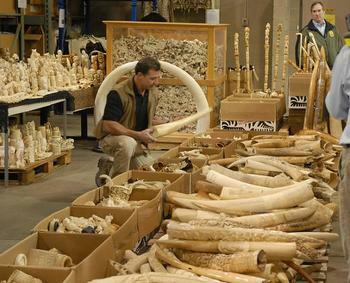 The ivory is smuggled to Asia where it is carved into ornamental objects that are in high demand. The report calculates that as an annual street value for ivory traffickers of US$10.5 million, an amount five times greater than the entire national budget of Tanzania’s wildlife division. That pattern is repeated on a broader scale. The amount of money lost from environmental crime is 10,000 times greater than the amount of money spent by international agencies on combating it, just US$20-30 million, the report estimates. The two organizations – the international environmental agency and the international police agency – pooled their data and calculated that the value of environmental crime has ballooned to US$91-258 billion today. In 2014 it stood at US$70-213 billion. Titled “The Rise of Environmental Crime,” the report blames weak laws and inadequate funding for security forces for the inability of many countries to prevent international criminal networks and armed rebels from profiting from a trade that fuels conflicts, devastates ecosystems and is threatening species with extinction. The report recommends strong action, legislation and sanctions at national and international levels. To begin taking effective action against poachers, UNEP and Interpol would like to see legislation targeted at disrupting overseas tax havens. They want a big increase in financial support, enough to deal with the serious threat environmental crime poses to sustainable development. 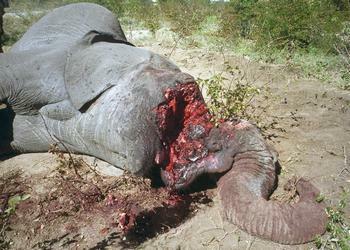 Poachers need to find other ways of making a living, the report acknowledges. The basic problem – poverty – will not be solved until there are economic incentives and alternative livelihoods for those at the bottom of the environmental crime chain, such as poachers.